I'm loving crop tops, as of late! I can't get enough of the fun, flirty vibe they put off. I am a little modest in the fact like I like to pair them with highwaisted shorts or pants, just for a little extra coverage. Apparently my goal for this outfit was to completely imitate a watermelon, so mission accomplished. :) I like to pair bright, sometimes unexpected colors, just to switch things up every now and then. Such a cute fun summer outfit! Love the Tory bag & matching sandals! These colors are gorgeous! Perfect summer outfit! So cute! It really looks like watermelon ;) love it! I am totally crushing these shorts! Cute look! Who isn't dreaming of watermelon in the summertime! 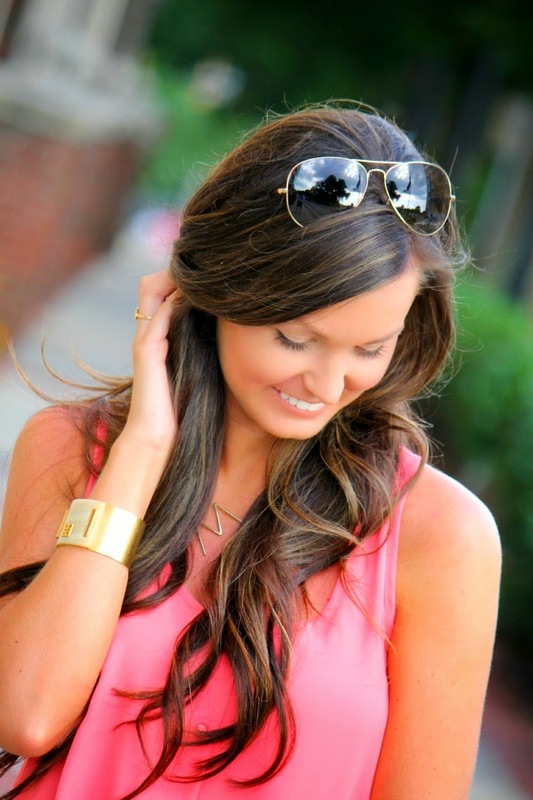 I love your jewelry, the necklace is beautiful and simple. I love your outfit! It's adorable!! I really like how you chose two completely different pastel colors! It goes so well!!!!!!!!! I love this color combination together. Great idea! I love this color combination together! Great idea! I love the color combo! Perfect summer look. 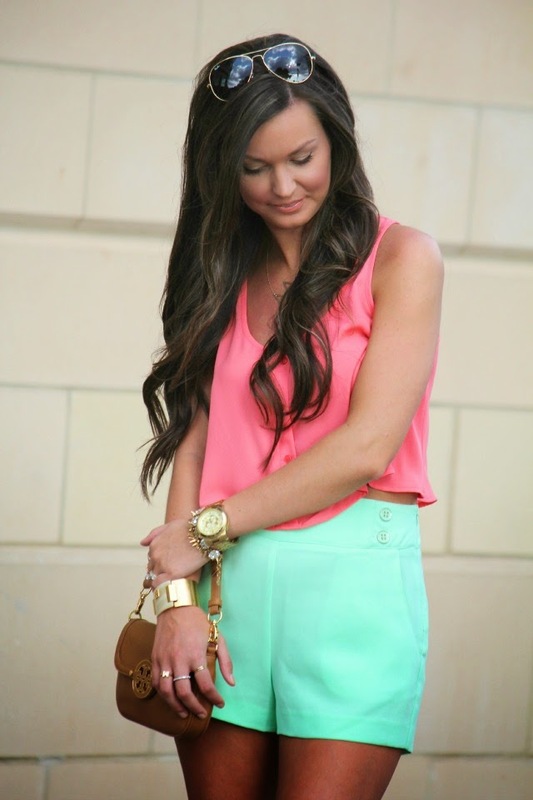 cute in mint and coral! Love the neon colors together! Such a great color combination! It's perfect for summer! Love this outfit! The colors look amazing together!! I'm loving the colors of your top and shorts together! I love the color combo in this outfit! It's so perfect for summer!